New Delhi : The Supreme Court has paved a way for any increase in the pension of EPS-95, but the employees are happy with the judgement but are also skeptical as previous judgements are stalled by the EPFO / Govt. On April 1, the Apex court upheld the Kerala High Court verdict on a monthly pension from the Employees’ Pension Scheme 95 (EPS-95). The High Court had scrapped an August 2014 notification by the Employees’ Provident Fund Organisation (EPFO) and asked EPFO to give full pension to subscribers of the EPS. NAC president Ashok Raut has claimed that the verdict has been delivered in a haste, keeping the general elections in mind and that it is a ploy to deceive the pensioners. EPS-95 pensioners haven't yet received any money. He also resented the strange statement of Shri Brijesh Upadhyay, the All India General Secretary of the Indian Labor Union and a CBT representative, that the EPFO did not have the money to pay the increased pension. The government will have to help the EPFO to give pensions to EPS-95 pensioners and if nothing substantial is done then EPFO's entire fund will dry out in the next four years. Mr Raut said that he couldn't understand if the BMS minister is working in favour of the workers or the government. The BMS Gen Secretary statement is drawing intense criticism from the EPS organisations in all parts of the country. Mr Raut, "BMS General Secretary does not know that the EPS pensioners have Rs 3.75 lakh crore in EPFO pension fund. I do not know, about which government funds he's talking about?" 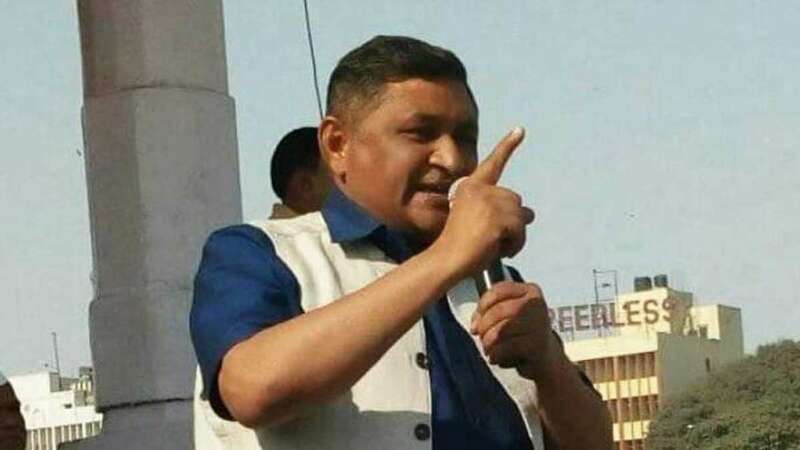 Mr Raut said that if the All India General Secretary of the Indian Labor Union (Bhartiya Mazdoor Sangh) does not withdraw his anti-labour remark, then the Rashtriya Sangharsh Samiti will stage a protest against him at the New Delhi-based BMS office. Raut said, "The Supreme Court's decision has not yet been implemented. Although this decision has been exaggerated in every leading news daily and on TV channels. The news was projected that EPS pensioners will become highly rich after the SC ruling and their pension will increase 5-10 times. A rumour was spread by the media to bring the people under illusion because of the election season. The decision can only be trusted, when it is implemented and the money gets credited into the accounts of lakhs of pensioners. The Labour Secretary of the Govt has filed another petition in this case which will be heard on May 2." Mr Raut said that the EPFO and the government had stopped giving pensions to the EPS employees who retired after September 1, 2004. Some of the EPS-95 pensioners approached the Kerala High Court against the decision. The Kerala High Court ruled that the EPFO cannot do this. The court said that those who want a pension at full pay should give a contribution to the full salary and get the pension on full salary. EPFO had considered pension for five years as an average pension. On this, the Kerala HC said that last year's salary of the employees can be considered as the average. The Kerala HC had given a decision against EPFO and in the favour of the employees. Against this, the EPFO filed a petition in the Supreme Court. “We find no merit in the special leave petition. The same is, accordingly, dismissed,” a Bench led by Chief Justice of India Ranjan Gogoi said, rejecting the appeal filed by the EPFO in short order on April 1. At present, the EPFO calculates the pension in terms of Rs 1,250 per month (8.33 per cent of Rs 15,000). 12 per cent of the basic salary of employees goes to PF and 12 per cent is deposited by the employer. Of this 12 per cent of the company's stake, 8.33 per cent goes into the pension fund (PF) and the remaining goes to 3.66 PAF. The Kerala HC had ordered the EPFO that every employee should get a pension according to their full salary after their retirement. Mr Raut further lamented that EPS subscribers are sitting on an indefinite hunger strike for the last 104 days in Maharashtra, under the banner of Rashtriya Sangharsh Samiti, but not a single BJP MP or MLA has met the protesters to hear their demands. No official of the administration has come forward to listen to them. Elderly people are fasting on the road, but no one has taken care of them until now.